Do you have a conservatory that needs bit of TLC? 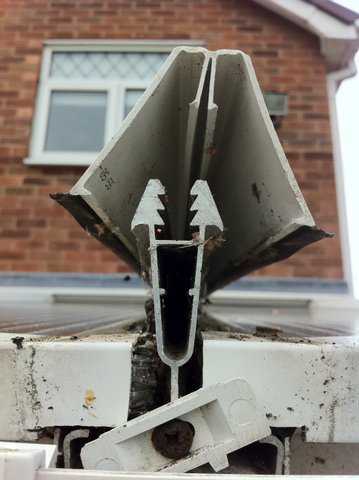 Slipped roof panels, conservatory leak that need fixing, faulty lock, hinges or damaged handles, broken and damaged end caps or glazing bars or your doors may have dropped. Whatever it may be, WindowGeeks conservatory repairs have you covered. We are local and friendly, and we can fix most common conservatory problems, quickly, easily, and for less than you’d expect. Many traditional window and door companies often persuade you to change the entire roof because a repair isn’t always their most cost effective solution. Conservatory’s, especially the roofs, get dirty very quickly, especially if it is situated close to trees… Tree sap, moss and algae quickly attaches itself to the glass or polycarbonate and make your conservatory look dirty and neglected. 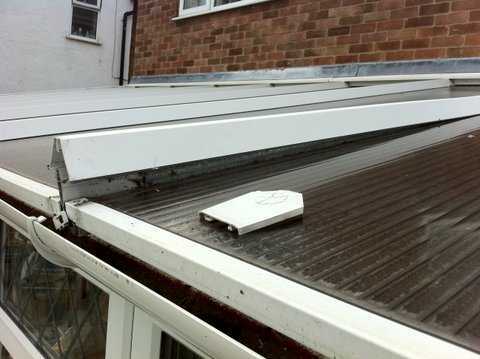 It’s common for conservatory roofs to get dirty or damaged…they are very difficult to safely clean, and unless you use the right type of specialist ladders, you not only run the risk of damaging the roof more, but even worse…you could fall through the roof and do yourself serious injury. WindowGeeks offer you a safe, insured and cost-effective alternative, by allowing us to professionally fix your conservatory problems. We fix conservatory roof leaks, slipped panels, broken end caps, you name it. Don’t forget we offer FREE “without obligation” surveys, and we don’t employ salesmen. So if you need a conservatory repair, or conservatory roof repairs , then call us for a FREE survey on 0800 5 118 007 us the contact form here. Our small team of local experienced engineers cover Widnes, Warrington, Runcorn, St Helens, Frodsham, Helsby, Rainhill, Prescot & surrounding areas. We cover Warrington, Widnes, Runcorn, St Helens, Haydock, Newton-le-willows, Frodsham and surrounding areas.